All clinical trial management comes with its challenges and we’re proud of how our team in Malaysia has handled those presented to them. George Clinical established our team in Malaysia in 2009 and since then, the team has grown steadily and continues to deliver results whilst overcoming challenges. 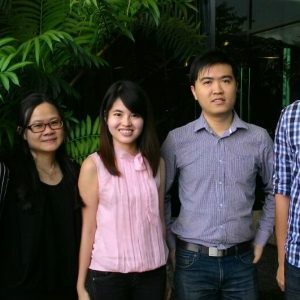 In this article, we speak briefly with our team leader in Malaysia, Seu Siow Bee, on recent hurdles they’ve come across. How many US-IND studies are ongoing in Malaysia currently? There are three ongoing US-IND studies currently ongoing. What are the common challenges that would delay start up? Even though Malaysia accepts English documents such as protocol and Investigator’s Brochure for submission, the ICF still needs to be translated into Malay, Simplified Chinese and Tamil. Many sponsors are unaware of this and enough time needs to be accounted for translation process. For example, in an ongoing global US IND study, the provision of the final ICF for EC submission was already delayed. Our team closely followed up on the EC submissions deadline and ensured that the translation of the document was quickly done so that there were no further delays. We managed to obtain EC approval almost a month ahead of schedule, even though the final ICF was delayed. Another challenge that’s common all around the world is site contracting. Different sponsors have different contracting procedures so we have to adapt. Our team closely monitors the negotiation process and takes quick action once the process begins to protract. We negotiate with sites on the language and the proposed budget in order to speed up the approval process. Sometimes however, it’s not enough as some private sites may want more money than what the sponsor budgeted. In a recently closed study, one of the sites in Malaysia withdrew from the study as it did not agree to the budget. The allocated patients for this site had to be re-distributed amongst other approved sites in Malaysia, but I’m pleased that the team still managed to achieve overall recruitment within planned timelines. What would be the biggest factor affecting recruitment in Malaysia, which could have been avoided? Probably one of the challenges that the team often encounters in Malaysia is that the investigational medical products (IMP) is not halal. This has major ramifications in a Muslim country such as Malaysia. In one of our projects, the capsule contained porcine products and this was unacceptable to most Muslims. Our team worked with sites to concentrate the recruitment effort on non-Muslim populations, but we still managed to achieve recruitment target within timelines. In another project, the capsule was of bovine origin but did not have a halal certification. Again, we worked with sites to concentrate on non-Muslim population, and some sites were also willing to approach Muslim patients for their consideration as the product was of bovine origin. So, when manufacturing the IMP, it’s best to consider non-animal products and if this is impossible, then bovine origin would be second best. What are the recent developments in Malaysia’s clinical trial infrastructure? Currently, there are many sites throughout Malaysia that are established clinical research centres. They range from teaching hospitals, Ministry of Health (MOH) institutions and private institutions, all whom have dedicated research teams to conduct trials. MOH has recently established Clinical Research Malaysia (CRM), a site management organization, to increase Malaysia’s position as a destination for trials. CRM’s role is to provide resources to facilitate clinical trials in MOH. It also encourages more physicians and nurses to participate in clinical trials. Moreover, several sites within the MOH institutions are being primed for clinical trials to ensure that these sites have excellent facilities, resources and personnel that are equipped for high quality trials. Malaysia has a population of approximately 30 million, made up of Malays, Chinese and Indians. EC approval timelines – 40 to 70 working days. Regulatory approval can be obtained within 30 working days subject to EC approval. Clinical trial applications are reviewed in parallel.